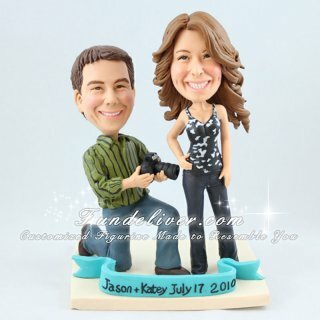 This is a completely customized photography theme wedding cake topper ordered by one of our customers. The bride is always smiling for the camera - with right hand on hip and head slightly angled. Also she is rarely seen without pair of great heels on, so she would like the figurine to have heels too. While groom's favorite accessory is his Nikon D700, so she would like him to hold the D700 like another Photographer Cake Topper. They would like to add wedding rings to their fingers, a simple white metal band for groom and a diamond band, also white metal, for bride. For the base they would like a rectangle off-white one with a turquoise nameplate in black writing, saying “Jason + Katey July 17 2010”. Love to take photos? 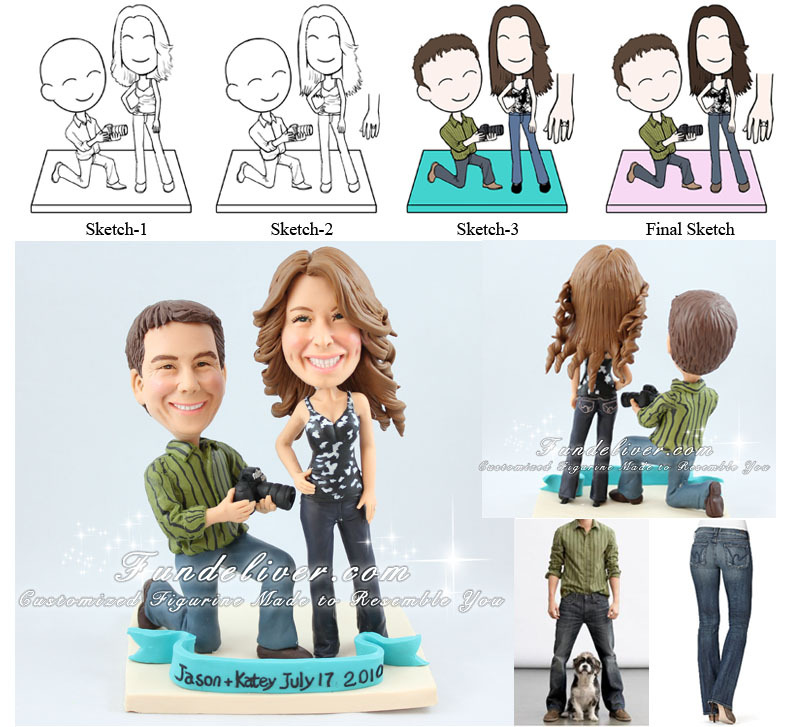 Why not try this Fashion Girl Taken Photo Cake Topper?